Whenever I travel, I always look for new projects to photograph and discover. 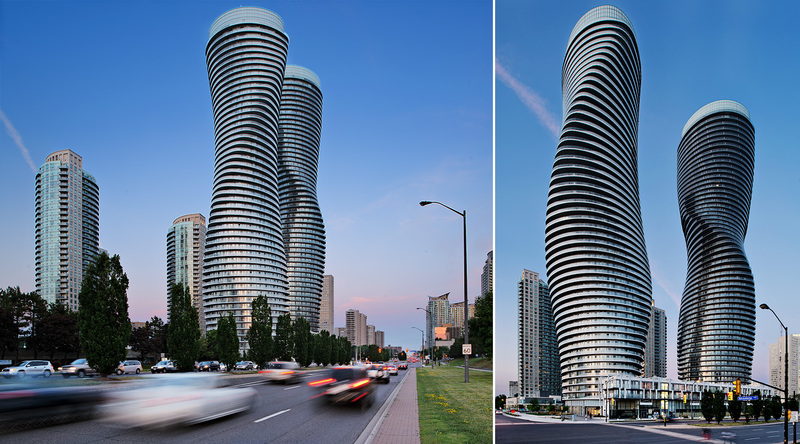 The last few months having brought me to Toronto on numerous occasions, I took the opportunity to head to Mississauga, located in the suburbs of the city of Toronto, in order to shoot the brand new Absolute Towers, AKA Marylin towers in reference to the curves of Marilyn Monroe. 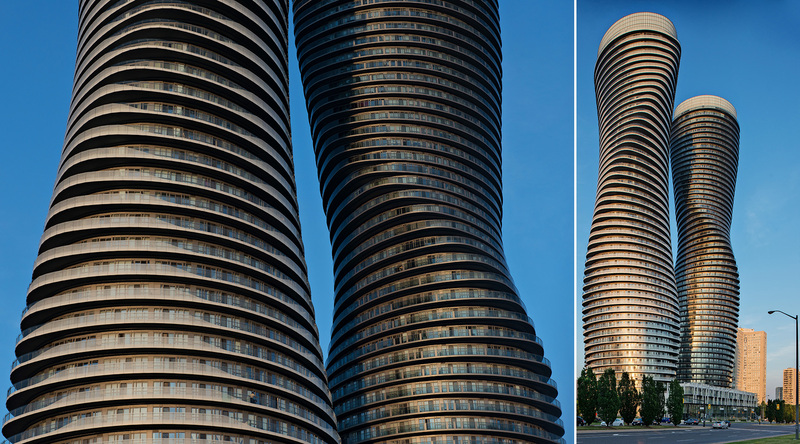 These breathtaking pieces of architecture were designed by the firm MAD Architects based out of China with the help of a local Toronto firm: Burka Varacalli Architects . 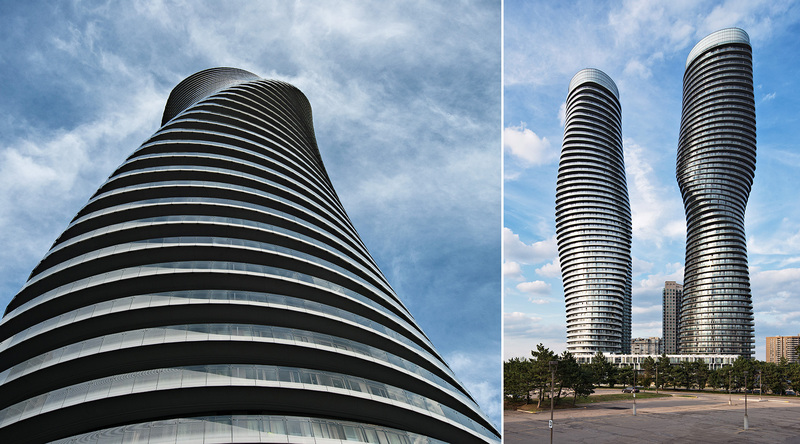 They feature two twisted and curved towers of 180m (56 floors) and 160m (50 floors). On my first visit, the weather was fantastic and the light of the setting sun really makes those towers shine. 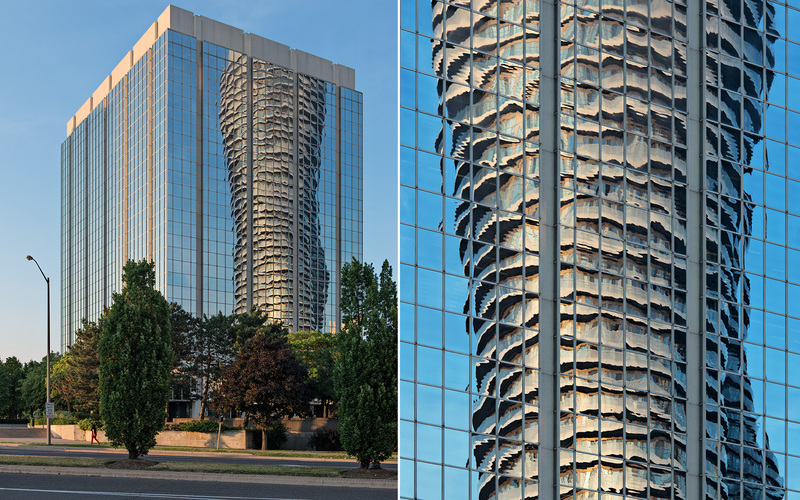 It also makes for interesting reflections in the nearby glass buildings. Looking up, the towers look even more impressive, showcasing the wonderful twist. 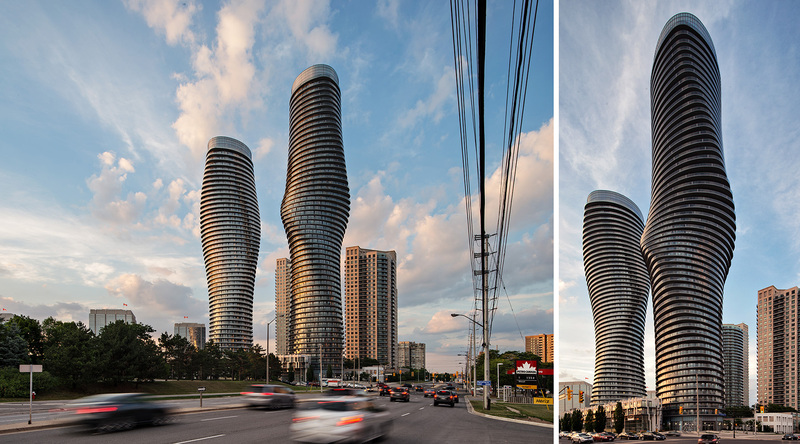 On my second visit, I wanted to focus on the other perspective on these buildings and for this shoot I had the chance to have some clouds in the background to add for the drama at sunset. 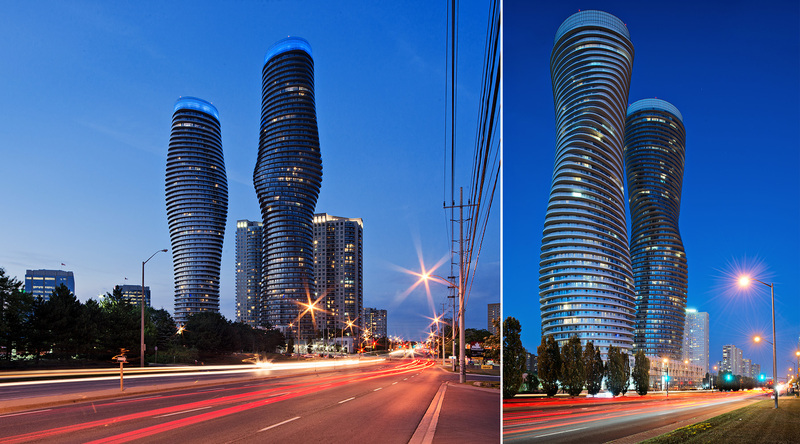 But my favorite time of the day for architecture has always be the blue hour. At this time of the day, the buildings look even more unreal and majestic. 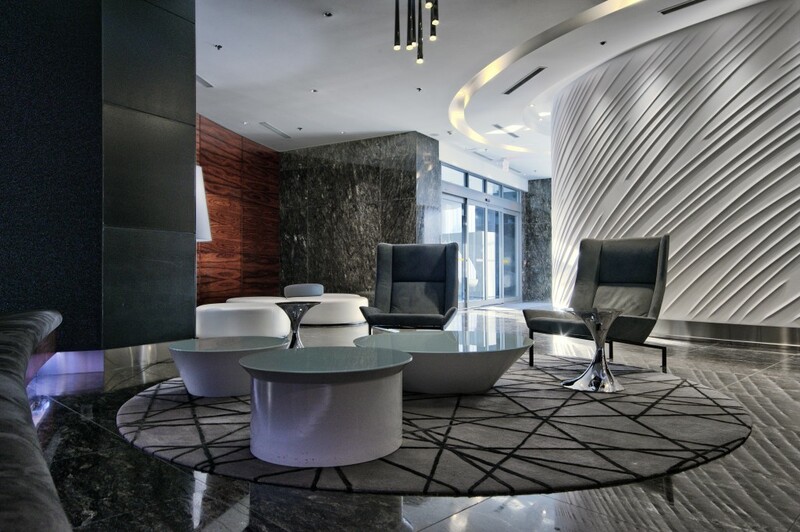 Although the exteriors are amazing, the lobby is also worth seeing like you can see below.